My first attempt at juicing and I think I deserve a standing ovation! Elated that what I had imaged to be easy, actually was. Why I have waited this long to begin juicing is beyond me – but now that the gears have been set in motion, this chick is imagining all of the combinations that can be concocted! Probably should introduce my leading lady, eh? 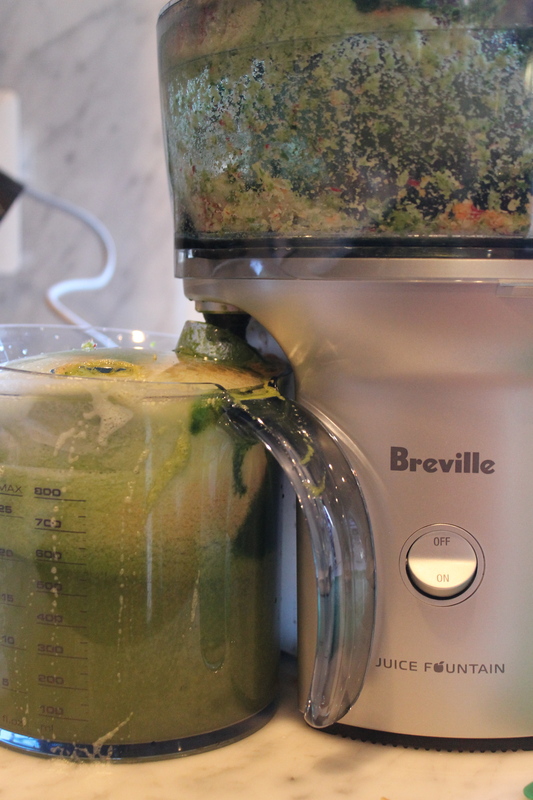 None other than the Juice Fountain Compact by Breville. Why her? Perhaps fate… especially when there are so many choices – thank goodness for the web and user reviews. A multitude of 4 star and 5 star ratings sealed the deal and just after one use, I would soundly concur! In my life, gadgets have to be easy. 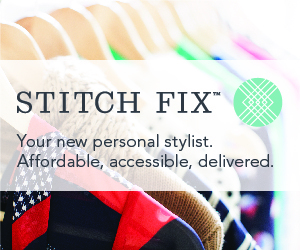 No lengthy instruction manuals or complicated set-up. Just easy. I’d be lying if I said that I thoroughly read my Breville manual. Only a quick flip of the pages. Haha – I prefer illustrated instructions. Way to go Breville for keeping my attention. Your step-by-step pictures kept it short and sweet… already a plus in my book! Now the big test… the family. Ultimately, they were the driving force behind this purchase. The goal: I desire fresher and healthier juice alternatives. I want to boost our energy levels while providing our bodies with beneficial vitamins… and, since we are juice drinkers with preconditioned taste-buds, I want the juices to be delicious with the hopes that they (my children… 13 & 11) enjoy juicing and continue juicing well into adulthood. 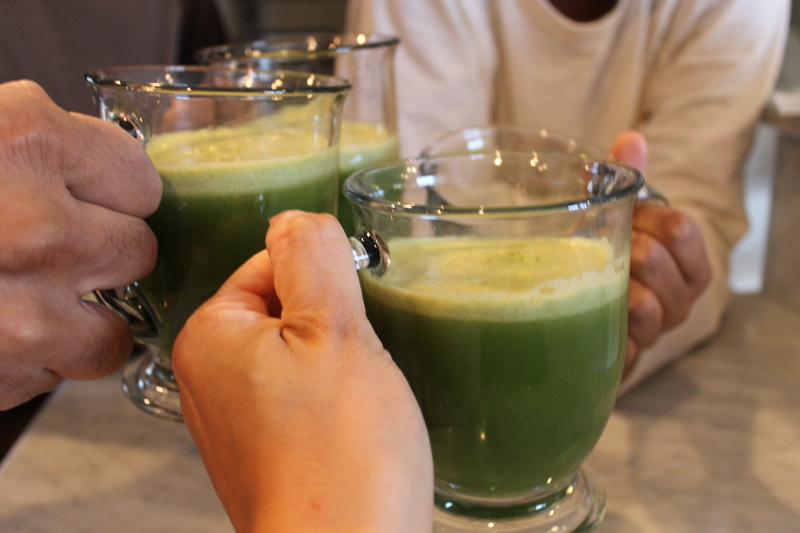 In the spirit of the holiday, what better day than Christmas than to give my family the gift of a healthy drink. 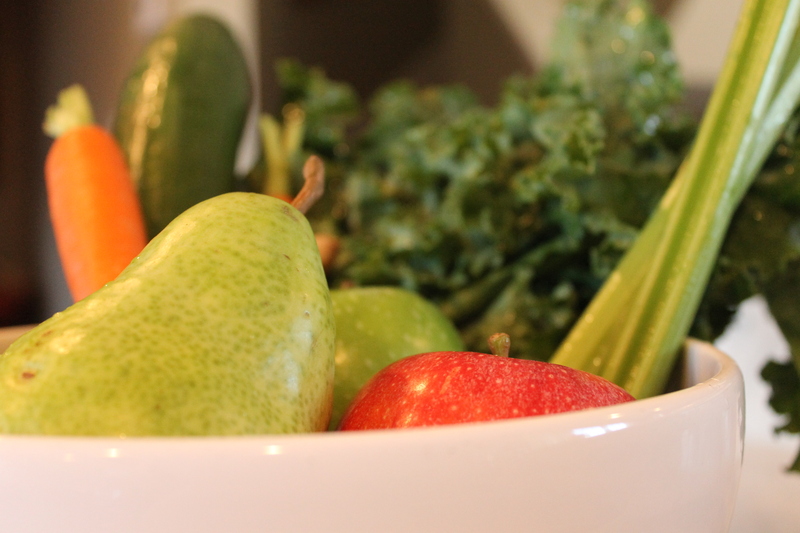 My pick, a fusion of several recipes that I discovered online… I call it Kisha’s Green Juice. My ingredients gathered. Side note – because of my allergies, all vegetables are organic and purchased at my local Whole Foods store. 4 leaves of kale. 2 celery stalks. 2 carrots. 1 cucumber. 1 green apple. 1 red apple. 1 pear. 1 thumb-sized peeled piece of ginger. Rinse and slice cucumber, apples and pear. Add to juicer. What a delightful noise it makes. 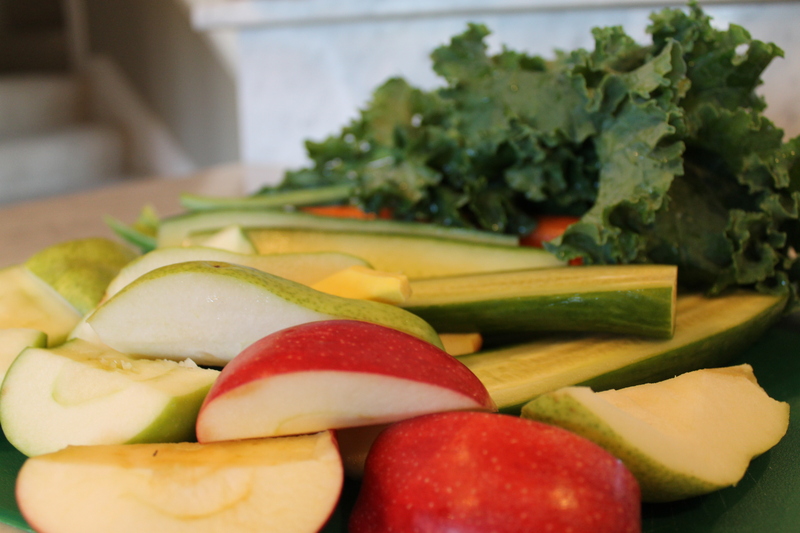 The juicer sounds like this… “zzzzzzzzzzzz” “zzzzzzzzzzzzzzzzzz” “zzzzzzzzzzzzz-zzzz-zzzz-zzzzzzzzzz” The types of ingredients added alter the rhythm. Kinda like juice music, eh?! What is produced is a peculiar yet attractive green frothy drink – minus the pulp. This batch of ingredients yielded about 4 cups. I invited the family to come and grab a cup — unsure of the potential reaction, I gave the kids much less added their excess to my cup and my husband’s cup. Haha – my son took his sip, gagged, swiftly put his cup down on the counter, shook his head and walked away. My daughter, who was processing her brother’s reaction, cautiously sipped her juice. A mini/microscopic sip I should add… you guessed it, she was unimpressed. Well, I am blaming their reaction on their age for my husband and I enjoyed AND finished our drink. 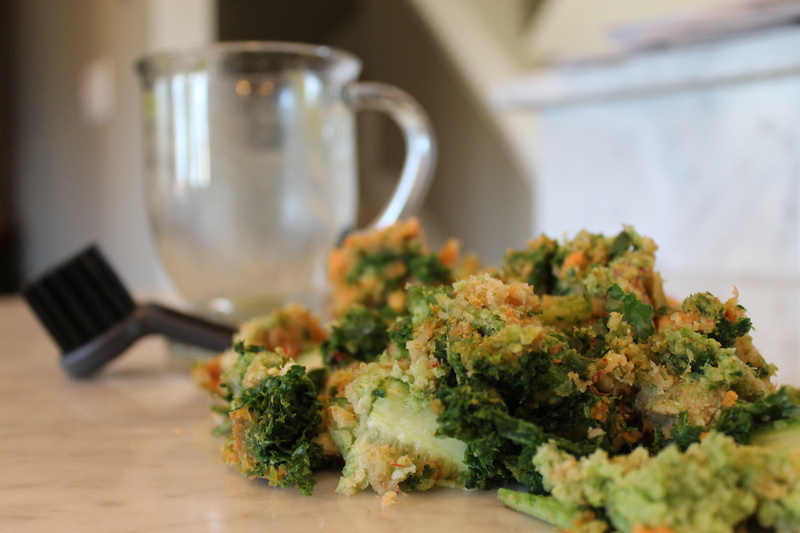 But I’ll add, he said next time I should reduce the amount of kale. Nonetheless, I’m taking it all in and proclaiming success on the first try! 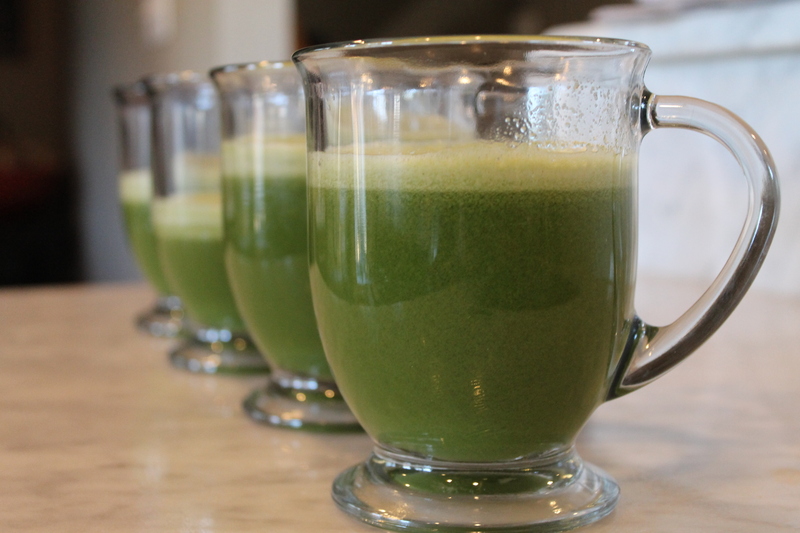 Kisha’s Green Juice evolved with each sip — or perhaps I was analyzing it too much — with each sip, trying to distinguish “what” I tasted. Not too shabby and with a few tweaks, it will be presented to the kids again – I’m thinking more pear and ginger? 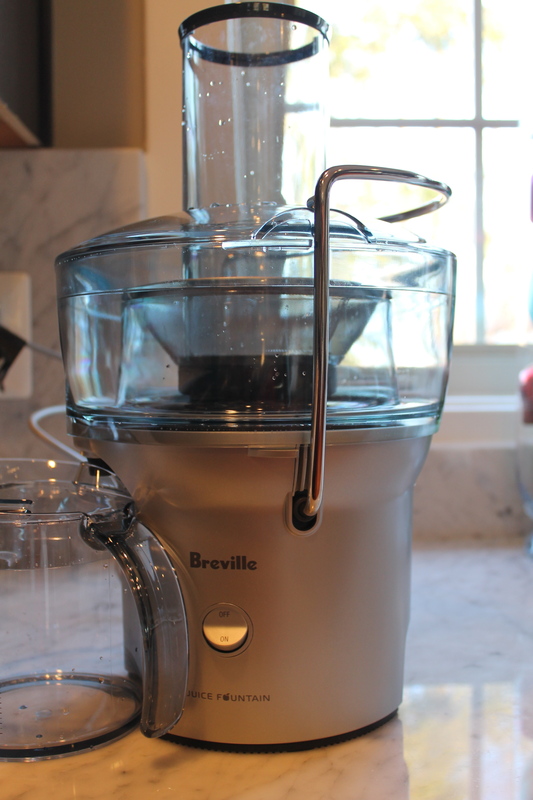 As quick as it was to make, the Breville was just as easy to clean. A twist, dismantle a few parts, scrape and clean with the brush and whaaa-laaaah… you’re done! Hmmmmm… wonder if I could find something creative to do with the left-over pulp? At any rate… looks like there is fun to be had! On the prowl for juicing recipes. Especially with beets…. yummy! Wish me well and keep an eye out — trust me, I will be sharing my discoveries!